The Navy utilizes red task lighting at night to preserve vision of bridge occupants during certain operational conditions. I was asked to provide a version of the Tasca work light to be used on the bridge for map lighting, to replace incandescent products with filters they had available to them through the GSA. They wanted white light for supplemental daytime use, and red for operational conditions where red light was employed. They also wanted dimming for both conditions. 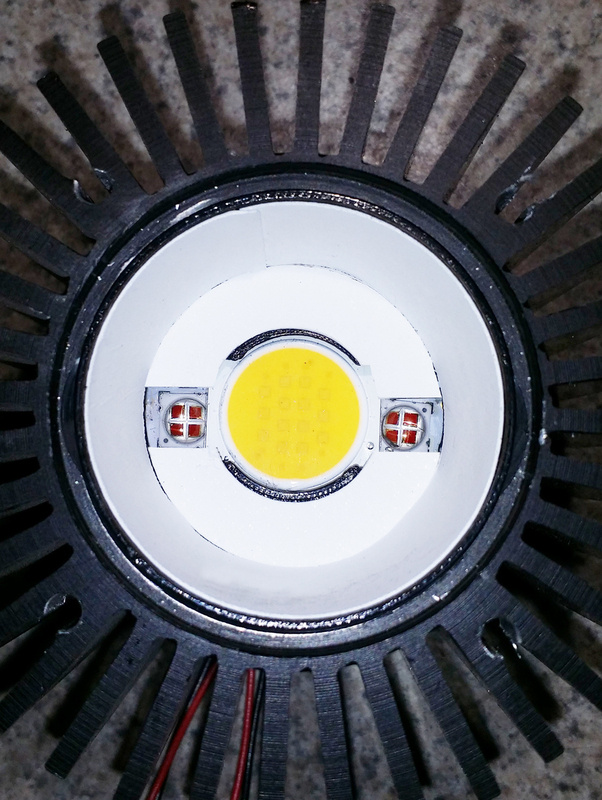 To accommodate this, I added (2) Ledengin 625nm Red LEDs to the standard Tasca head, which employs a Bridgelux 4000K ES COB array, with a custom diffuse optic. One driver is all that was required, with a three position toggle switch that selects white-off-red. This allows one dimmer to be used as well for either mode. 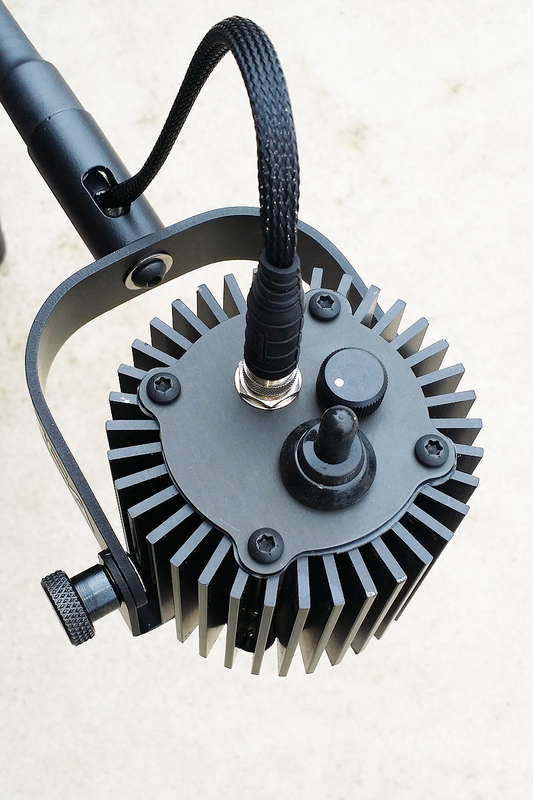 In addition to these light output modifications, they also needed the arm system to be extended vertically 6″, with a swivel mount to a bolt down base. I added a swivel lock as well as an adjustment for setting swivel resistance while I was at it, for extra measure. This is now used on two ships, with more on the way. The head includes dimmer control, and 3 position toggle switch for color selection and off. 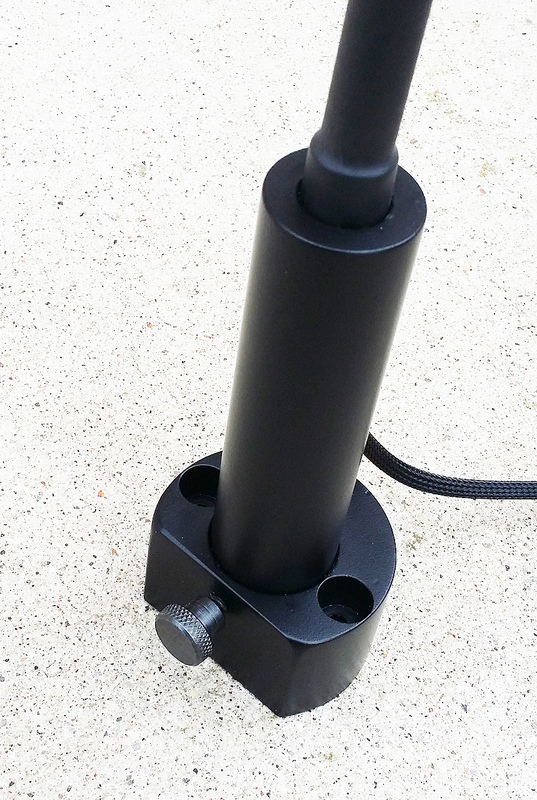 The bolt down base swivels and can be locked and adjusted for resistance in the pivot. 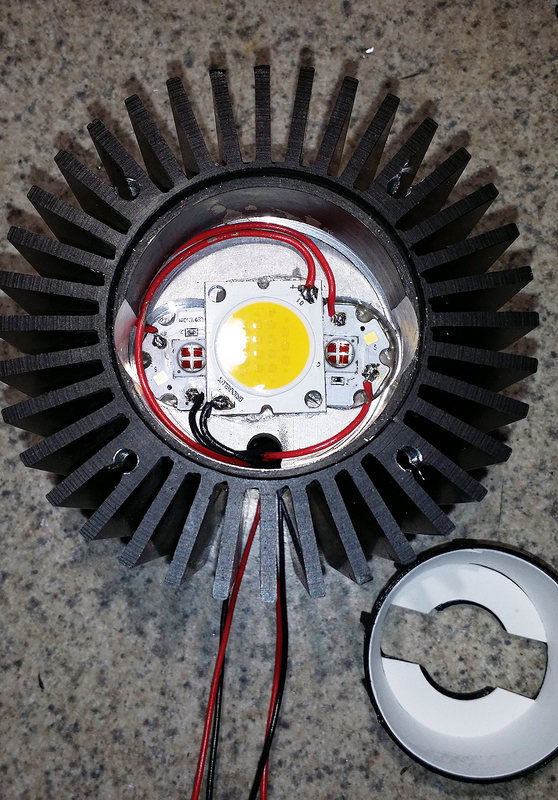 The arrangement of the LEDs places the red sources lower in the cup, overlapped and under the main white array. The system tested perfectly, with no issues of over-heating. The diffuse reflector is part of the mixing chamber, which included Luminit diffuser material to blend the light from the two sources into one controlled output with no spots or variations on the lighted surface. Nice work Kevin! You are one talented lighting professional. Keep on innovating.